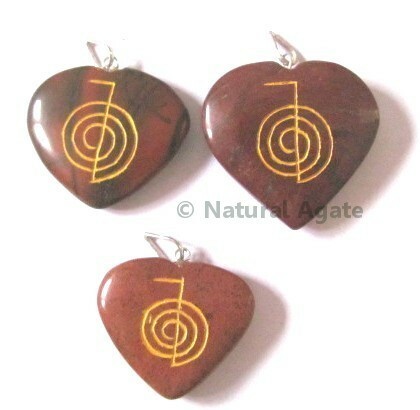 Red Jasper Choko Reiki Pendant is a beautiful pendant. The pendant has engraved, gold-painted Cho ko or power reiki symbol. It can be availed from Natural Agate. It is 20-45mm long.